SubTerra, Inc. is an engineering company specializing in mining, civil, geo-technical and environmental engineering. Our experienced engineers, geologists and team of specialist associates allow us to offer a broad range of engineering services for each stage in the investigation, design and construction phases of mine and civil projects. SubTerra Engineering LTD. -Is a Geotechnical, Tunneling and Mining consultancy, specializing in rock mechanics, rock excavation, TBM performance, blasting and slope engineering. SubTerra, Inc. teams with its sister company, SubTerra Engineering Ltd. to provide services in the United States and Internationally. Sub T Engineers, Ltd. is a Geotechnical, Tunneling, Mining, Blasting, and Instrumentation firm, located in the State of Israel, specializing in rock mechanics, rock excavation, TBM performance, blasting, slope engineering. SubTerra, Inc. teams with its sister company, Sub T Engineers Ltd. to provide services in Israel & EMEA. Rosen Goldberg Der & Lewitz – Accoustical and Audiovisual consultancy established in 2003. Each of the four Principals has over 20 years of acoustical consulting experience and together they effectively utilize their individual talents to work on a wide variety of projects for both the public and private sector. SubTerra, Inc. and Rosen Goldberg Der and Lewitz team to provide comprehensive services for projects involving Construction Vibrations and Noise. 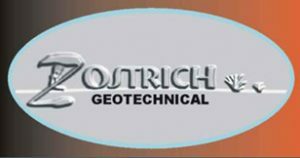 Zostrich Geotechnical Services was founded in August 1995 as Ursa Engineering. The company’s focus has been, and will remain, premium rock mechanics engineering and rock mass characterization work, primarily for the mining industry. SubTerra, Inc. and Zostrich team to provide services for projects where SubTerra’s experience in blast and mechanical excavation and/or subsidence engineering and Zostrich geotechnical’s expertise in rock mechanics, photogrametry and mining engineering are required. Professional geotechnical reports to aid in court cases, including acting as expert witnesses for both traditional claims, and for arbitration, Geo-environmental investigations and consultancy reports, particularly dealing with contaminated sites, MSW dumps and sludge lagoons. The work of the office is concentrated in Israel, but projects executed in the past and currently ongoing include sites in the Middle East and Europe, including the El-Basateen railway bridge and Jewish cemetery in Cairo, Egypt, and the Statoil Petrol Station and Jewish cemetery in Lebork, Poland.